Serie A giants Inter Milan have reportedly turned down an initial loan approach from Arsenal to sign wantaway winger Ivan Perisic. The 29-year-old has been with the Nerazzurri for the past three-and-a-half seasons but his future has been brought into question after his average form through the current campaign. According to The Mirror, the Gunners had recently made a £4.4m loan bid for the Croatian with the option to buy for £34.5m when the season comes to a close. However, their proposal has been rebuffed by the Nerazzurri hierarchy, who are prepared to only lose their winger on a permanent basis in the transfer window. 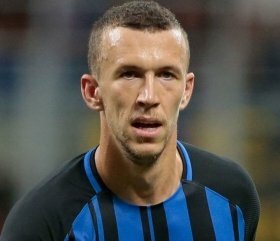 Perisic has netted just three goals and two assists in the Serie A this campaign and there has been suggestions that his form has been affected by his ambition to pursue a fresh challenge elsewhere. The Croatian was previously on the radar of Manchester United in the summer of 2017 but the Red Devils appear unlikely to retain their interest in his signature.